Dr. DiRienzo stays up to date on the latest advancements in dentistry in order to provide the most current treatment options for his patients. Skill and compassion go hand in hand when providing exceptional patient care. 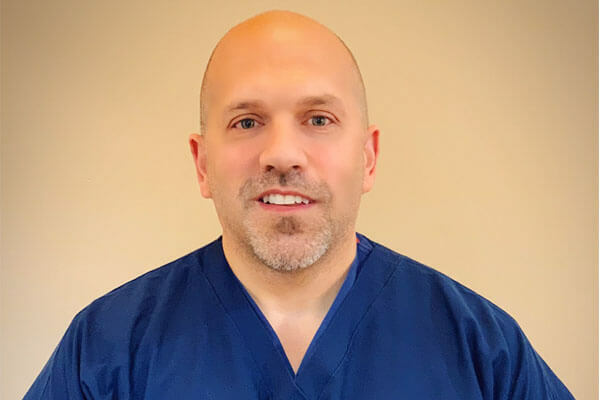 As a dental professional, Dr. DiRienzo stays up to date on the latest advancements in dentistry in order to provide the most current treatment options for his patients. As a doctor, Dr. DiRienzo recognizes that his patients are unique individuals who have placed a great deal of trust in him and his team. Dr. Steven DiRienzo graduated from Columbia University School of Dental and Oral Surgery. He completed his Oral and Maxillofacial Surgery training at Westchester Medical Center in Valhalla, NY. His training included all aspects of the specialty including TMJ, implants, trauma, orthognathic, pathology, removal of wisdom teeth and general dentoalveolar surgery. Dr. DiRienzo provides our office with a new perspective on recent advances in State of the Art Oral and Maxillofacial Surgery, with emphasis on the removal of wisdom teeth, dental implants, conservative and surgical treatment of TMJ Disorders. In his spare time, Dr. DiRienzo loves spending time with his wife, Alexis, and three children, Lauren, Olivia and Grace. Along, with going on walks with his four Schnauzers. He also enjoys watching the Pittsburgh Steelers play football during his free time.